A nice playground in Lindsey Park in Salt lake City, Utah. 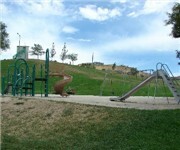 This playground is at the site of the first playground in Utah. How Would You Rate Lindsey Gardens Playground?